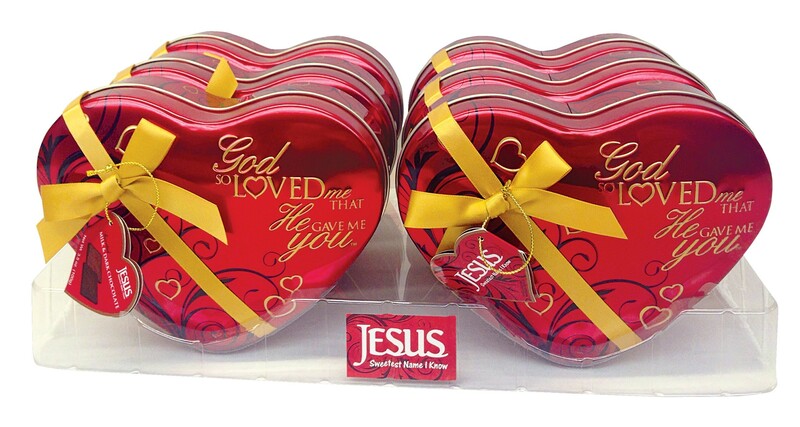 This beautifully embossed heart-shaped Scripture Candy tin case of 6 is filled with 3.5 oz. of assorted milk and dark chocolates. Each Religius Candy piece is individually wrapped in the “God So Loved Me That He Gave Me You” theme and a love scripture. Tin is embellished with an elegant bow and hangtag. Makes a great Valentine’s Day gift.